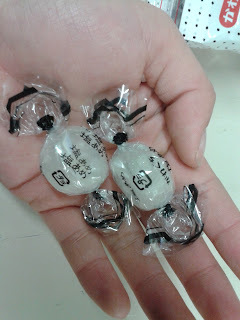 Salt Candy, it is probably what you think it is just by the sound of it, but surprisingly not Thaaat salty, and I kind of wished there was more salt in it that there actually is. This is a slightly white translucent hard candy which, as seen in the pictures, very much looks like the color of liquid salt. 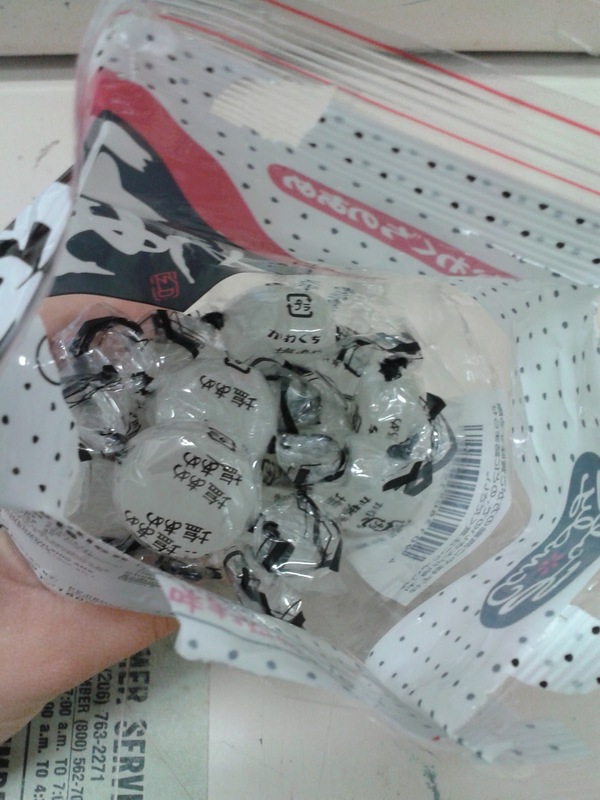 Not sure if you can tell from the above pics but the size of this candy is pretty big, a lot bigger than I expected. 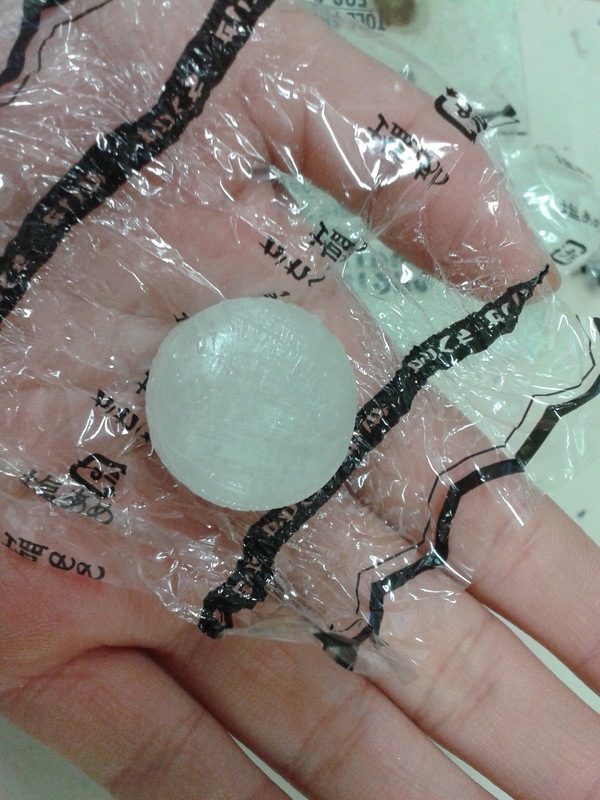 When I popped it in my mouth, I didn't realize how much room it'd take up. 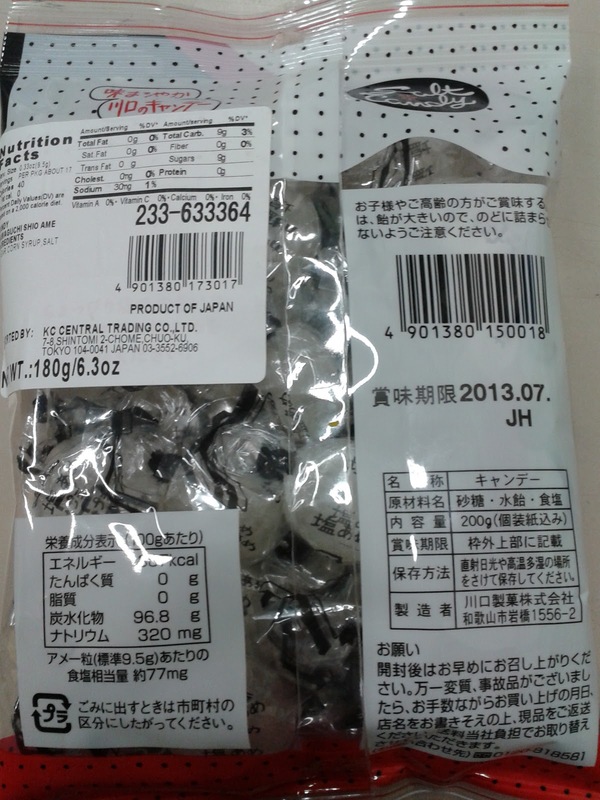 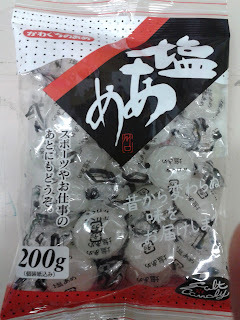 I've had this candy before from DAISO Japan, and received this as another sample bag. 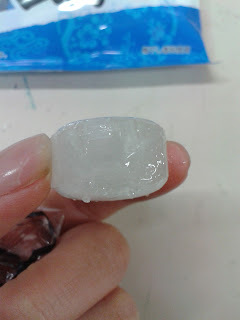 If you imagine taking sugar, water and melting it..then letting it rest and last minute add some larger salt flakes/chips (not sure what they're called), then that's pretty much it. But I will say that I do like it and as 'odd' as it may sound to some people it really isn't all that weird and indeed is a flavor that everyone pretty much has trid.